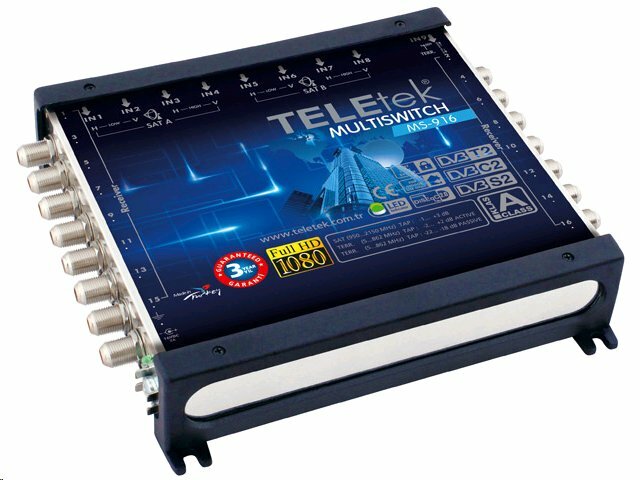 Outstanding signal quality even at low levels, patented switching transistor for low signal level control! Detailed technical parameters can be found in the appendix. A class A high-quality tap-off for common TV antenna distributions. 2 outputs, 5-2400 MHz. Odbočovací útlum 16 dB. A class A high-quality tap-off for common TV antenna distributions. 2 outputs, 5-2400 MHz. Deceleration attenuation: 20 dB. A class A high-quality tap-off for common TV antenna distributions. 2 outputs, 5-2400 MHz. A class A high-quality tap-off for common TV antenna distributions. 4 outputs, 5-2400 MHz. Derating attenuation 12 dB. A class A high-quality tap-off for common TV antenna distributions. 4 outputs, 5-2400 MHz. Odbočovací útlum 16 dB. A class A high-quality tap-off for common TV antenna distributions. 4 outputs, 5-2400 MHz. Odbočovací útlum 20 dB. A class A high-quality tap-off for common TV antenna distributions. 4 outputs, 5-2400 MHz. Derating attenuation 24 dB. A class A high-quality tap-off for common TV antenna distributions. 8 outputs, 5-2400 MHz. Odbočovací útlum 16 dB. A class A high-quality tap-off for common TV antenna distributions. 8 outputs, 5-2400 MHz. Odbočovací útlum 20 dB. A class A high-quality tap-off for common TV antenna distributions. 8 outputs, 5-2400 MHz. Derating attenuation 24 dB.